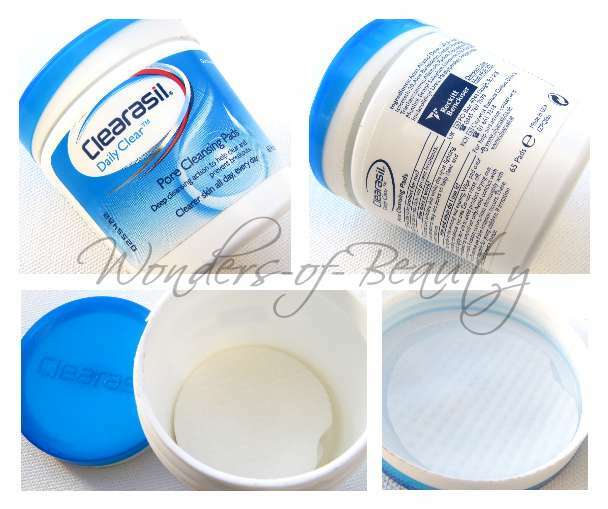 Today's product rave is about 'Clearasil Pore Cleansing Pads'. "Deep cleansing action to help clear and prevent breakouts"
Now I'm sure there will be many of you out there who are battling spots but can't find a solution. I'm not saying this will be a miracle product for you but just a suggestion that you may want to give it a go and see how it works with your skin. I had spot free skin up until maybe last year September, then when I got to uni I would get the occasional spot here and there. It wasn't severe and any spot I did have would be quite small anyway but I just wasn't used to it and I've always said spots were one of my biggest fears so when I did get them I would make a fuss. Since then I started paying more attention to looking after my skin and bought so many products to try and get rid of any spot I did have but some didn't work and some just made it worse. All this while my best friend kept going on about the Clearasil Pore Cleansing Pads but I never really paid much attention because she had perfect skin anyway and I thought she was just exaggerating. My sister had a huge reaction from using a Clearasil product (her face swelled up and everything!) so that also made me a bit skeptical about buying this. But you know me, I always give in when it comes to buying beauty products so one day when I was in Wilkinson I stumbled across it and thought it was time to give it a go! Since my purchase I have never looked back! "The textured pads exfoliate skin while the spot fighting formula penetrates deep into pores to help clear and prevent breakouts"
With this product, I am back to having the smooth spot-free skin I once had and haven't suffered a break out since. I know everyone's skin is different and what may work for me may not work for you but I just thought I'd share this great product with you anyway. I use 1-2 pads both in the morning and evening after I've washed my face. I know you're not meant to over-exfoliate but I'm really fussy and I will wipe this over my face until I've got a clear pad so that I know my face is clean that is why sometimes I use 2 pads instead of 1.